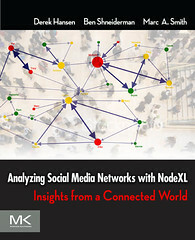 Gain insights into the key people, groups, topics and overall shape of your online crowd with a NodeXL social media network map and report from Connected Action. Request one now! I am developing an online conference. My goal is to get people connected by looking at their conversations, finding keywords and topics, allow them to search on what they need, and use your maps to get CONNECTED TO OTHERS that have (or are looking for) solutions of the same genre’. How can I use your tools to do this? Kind thx. I would like to find out if NodeXL or the request a map feature can be used to map past conversations on twitter? Can you track a search time in the past say a year or two ago?